Amputation Injury Attorney | Miami Loss of Limb Lawyer Gerson & Schwartz, P.A. Military Wounds: Both regular service-members and private contractors who lose a limb while serving our country overseas may be entitled to compensation, whether or not the wound occurs pursuant to armed combat. Medical Malpractice: If a vascular condition, like peripheral artery disease, or a chronic condition, like diabetes, is initially misdiagnosed, subsequent medical efforts may be insufficient to prevent amputation. Trauma Injuries: Motor vehicle crashes, falls, and other events often lead to such severe lacerations and/or blood loss that amputation is medically necessary. Even after the amputation, many victims feel phantom pain, meaning that they acutely feel the loss for months thereafter, or even longer. Amputations also give rise to numerous complications, like skin disease brought on by the artificial limb. Given both the loss of use and probability of medical complications, both economic and noneconomic damages in these cases are often substantial. In addition to compensatory damages, some victims are eligible for additional punitive damages. At Gerson and Schwartz, PA, we are committed to your complete recovery. So, in addition to winning financial compensation, we work to get victims the medical and rehabilitative care they need, even if they have no money and no insurance. This process begins with a referral to a team of medical professionals that are proficient with the type of injury in that particular case. Since the loss of a limb is often symptomatic of an even more serious condition, it is vital to immediately address these concerns. The next step is to be fitted with an advanced prosthetic device that, in many cases, may be almost indistinguishable from the lost limb. Most victims must undergo months of physical rehabilitation to learn to use their artificial limbs, but this process is necessary to help ensure a complete recovery. 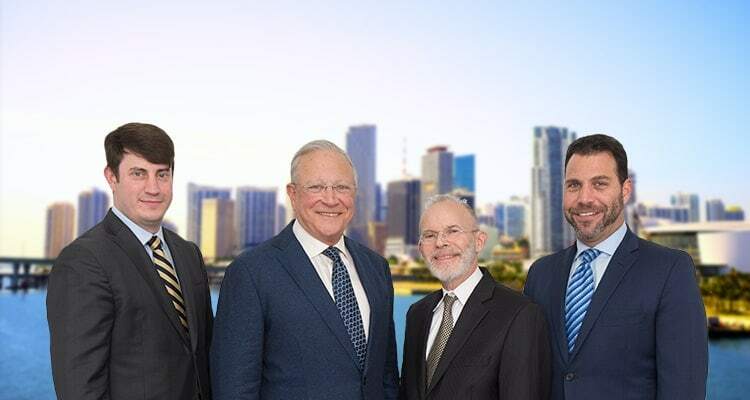 The lawyers at Gerson and Schwartz, PA, are dedicated to injury victims in the Miami-Dade County area. Contact us today at (305) 371-6000 or info@gslawusa.com. We do not charge upfront legal fees in personal injury cases.